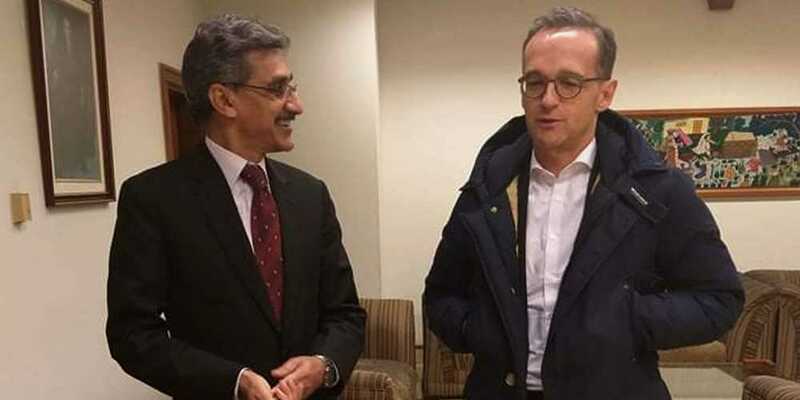 German Foreign Minister (FM) Heiko Maas on Tuesday arrived in Islamabad to discuss matters pertaining to regional peace and security, and the situation in Afghanistan with the Pakistani leadership. According to the details, upon his arrival at the Nur Khan Airbase, he was warmly welcomed by the high ranking officials of the Foreign Office (FO). He is scheduled to have high-level meetings with his counterpart Pakistan s Foreign Minister Shah Mahmoud Qureshi and other officials. Earlier, Maas visited Afghanistan to convey Germany’s commitment in peaceful resolution of conflict and economic development in Afghanistan.